Artificial intelligence (AI) has a perception problem, as many people think of the technology primarily as a job killer. However, collaboration between humans and AI opens the opportunity of putting the design and manufacturing of goods of all kinds on a new, better foundation by curating intelligence. That’s why we should rethink our expectations for machine intelligence and how it will affect our future. The role of a human as the most intelligent creature on earth may not last much longer. Technologies like artificial intelligence and machine learning are taking on operations that could previously only be conducted with human intelligence – and in some cases they’re doing even better than we do. In the field of creativity, machine intelligence technologies are already being put to good use. One example is the painting “Portrait of Edmond de Belamy” by the French artist collective Obvious. It was auctioned in autumn 2018 in New York for more than $432,000, but “the artist” is unlikely to get anything out of it. The creator of the masterpiece is the AI-algorithm: min G max D Ex[log(D(x))]+Ez[log(1-D(G(z)))]. The Obvious algorithm can easily be put down as a gimmick, but AI-systems have long since established themselves in industries such as automotive, mechanical engineering, construction and architecture, and consumer goods. Assistance from machine intelligence is increasingly welcome in these areas as companies are confronted with a growing list of challenges. They are under constant pressure to deliver products more quickly, more efficiently and more sustainably, while dealing with ever shorter product cycles and greater demand for customized, tailor-made goods. Compounding all of this is that as the world’s population grows, not only do more and more people need to be supplied with consumer goods, we also need to support our exploding population with the necessary infrastructure and systems to produce energy, drinking water and food. In addition, products need to improve in quality, because an outmoded throw-away society is not acceptable in the long term. These are precisely the sort of challenges that AI-based approaches can help address, relieving designers and engineers from time-consuming, repetitive manual tasks such as documentation and historical data searches. When augmented by machine intelligence, the human can instead focus on evaluating design trade-offs related to performance and higher-level business objectives. An approach that successfully melds the strengths of humans and machines is generative design. It combines the expertise and experience of humans with the ability to learn and the extremely high operating speed of AI systems. But what does a collaboration between humans and AI look like in the case of generative design? A product designer no longer tediously creates three or four variants of an aircraft seat or a body panel for a vehicle. Rather, she specifies which requirements the design must fulfill according to her objectives and constraints. Such specifications might include, for example, the type of material, the target weight of the product, its load-bearing capacity, and the cost framework. The designer can also specify the preferred manufacturing processes, such as subtractive or additive manufacturing, which should be a critical consideration in the earliest stages of the design phase. The ability to incorporate manufacturing constraints from the outset is indispensable as the entire design-to-make process converges into a single workflow. Based on all of these specifications, the generative design system uses an AI algorithm to analyze and evaluate all possible design permutations and recommends hundreds – or sometimes thousands – of optimal solutions. The human is then free to curate the solutions, selecting the design that best fits the performance and aesthetic needs of her particular project or job. Such interaction between machine intelligence and manufacturers has several benefits, including shorter development cycles. That is simply because a product designer typically spends an average of 60 to 70 percent of her working time on those time-consuming, repetitive tasks. These are now completely eliminated or require significantly less time. Such interaction between machine intelligence and manufacturers has several benefits, including shorter development cycles. Furthermore, an AI system can quickly analyze existing designs and product variants to see whether they are suitable as a basis for new developments. By continuously referencing work that has already been done, systems like generative design prevent the inefficient but common situation where the same or similar components are developed over and over from scratch due to a lack of archival knowledge. There’s another important benefit that should not be underestimated. If approaches such as generative design result in fewer routine tasks, product developers have more time for the really important job – the design of products. That scenario pays off not only for the employer, but also for the employee. Allowing designers to bring their skills and creativity to bear to a much greater extent should lead to happier workers, who feel more fulfilled and sometimes even have fun, and therefore are more productive. Despite the benefits for product developers of working with AI algorithms, potential risks should not be ignored. Some critics warn that AI instances could evolve into “immortal dictators.” Such scenarios currently exist only in science fiction movies but we are seeing existing AI systems, such as Google’s DeepMind, prove that they are superior to humans in some areas. One example is in strategy games like Go and Chess. AI-based systems that rate citizens according to their “value” to society have also raised questions recently. These systems evaluate the activities of a person, from his professional and private activities to the number of parking tickets he receives. China, for example, plans to introduce such a social credit system across the country by 2020. Against this background, it is important that rules for the development and use of AI systems are created. They are not intended to act as a brake on progress, but to minimize the negative effects of the use of AI. Several companies from the technology sector, including Autodesk, Google and SAP, have already spoken out in favor of such sets of rules. There is another common criticism that has become a staple of the narrative around AI – that the use of AI solutions and robots will lead to mass unemployment. However, technological progress has never led to that result. In the case of the steam engine, for example, worries were huge. But in fact, it created more jobs than it made redundant. Gartner, the market research firm, estimates that around 2.3 million new jobs will be created worldwide by AI by 2020. On the other hand, 1.8 million jobs will be lost. By 2025, the balance should improve further. By then, according to Gartner, AI will have created two million more jobs than have been lost due to the technology. Nevertheless, it is necessary to take a closer look at such forecasts and the jobs that will be lost. For example, it can very well be assumed that AI systems and intelligent robots will increasingly take over activities that require lower professional qualifications. This has been concluded by the consulting firm PwC in an analysis of the use of artificial intelligence in Germany. Employees who perform more skill-intensive tasks, on the other hand, benefit from AI-based solutions. This means that government, society and businesses must find ways to redress this imbalance. One option is to expand the range of training available to upskill workers. Generative design is already being put to use for innovative projects in multiple industries. Automobile manufacturer General Motors (GM) is exploring the use of generative design combined with 3D printing to develop new seat brackets for its electric vehicles of the future. According to GM, they’ve taken a bracket that is traditionally made up of eight individual parts and have recreated it as a single component printed in stainless steel. The new version is 40 percent lighter and 20 percent stronger than its predecessor. Airbus, the aircraft manufacturer, wanted to develop a lighter-weight but still resilient partition for its airplanes to divide the passenger area from the galley. An additional requirement was that the partition should be so stable that it could also accommodate seats for the on-board personnel. 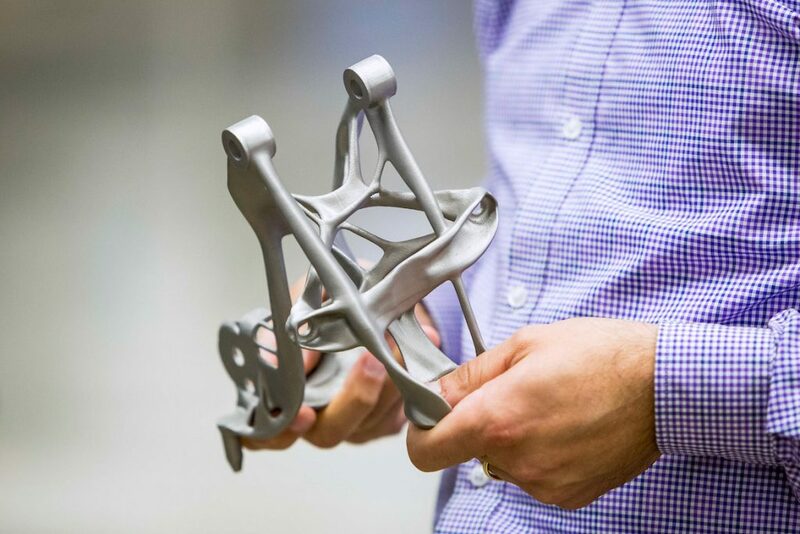 Just like GM, Airbus decided to use generative design technology from Autodesk, and was able to produce more than 10,000 design solutions that met their stringent specifications. In this case, the AI system resorted to templates from nature. The algorithm for the “bionic partition,” as it was named, is based on growth patterns of slime mold since these patterns can connect several points in a highly efficient manner. For the support structure inside the partition’s frame, the grid pattern inside of mammal bones provided the model. The bones have a denser structure in particularly stressed areas, and when applied to the design of the partition, these patterns provided the necessary strength. 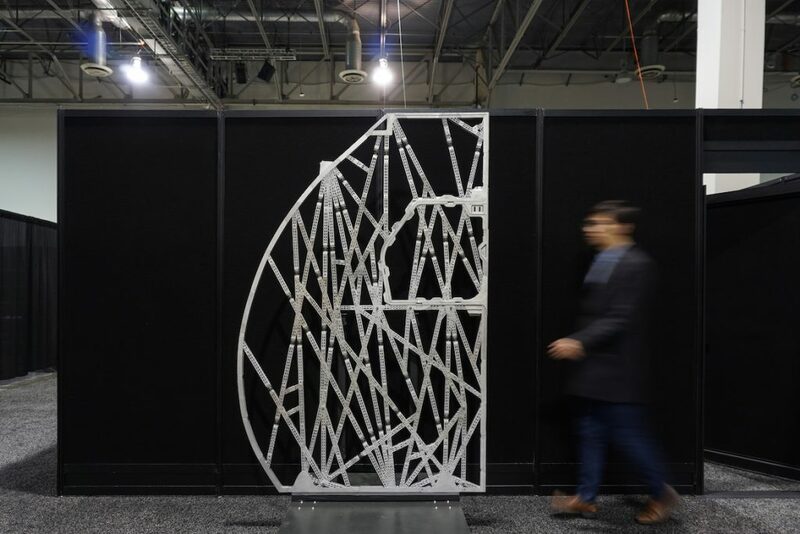 The result of the human collaboration with generative design is a partition wall that is 45 percent lighter than the original version, but still has the same stability. Another advantage of the new design is that less material is required to manufacture the wall, thanks to the grid-like structure. The Airbus project shows that AI systems like generative design can also pay dividends for the environment. The installation of bionic partitions reduces the weight of an Airbus 320 by up to 500 kilograms and each kilogram saved reduces the fuel consumption of the aircraft by 106 kilograms per year. This means lower CO2 emissions and less environmental impact. In addition, Airbus requires 95 percent less raw material to manufacture the new partition than is needed for the traditional part. All of this is to say that AI-enhanced design and manufacturing processes not only benefit the user but should also be evaluated in terms of sustainability and environmental compatibility. 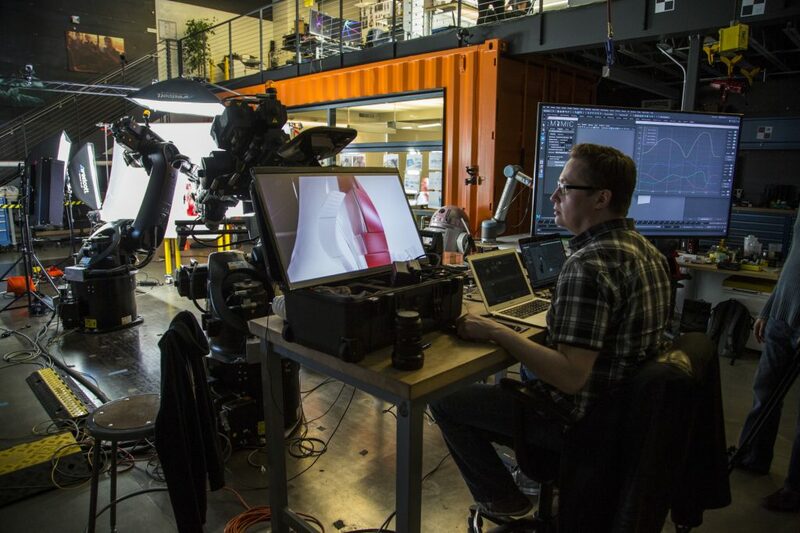 The future of making is here, bringing with it radical changes in the way things are designed and made. The burden to drive innovation, make customized products, and take advantage of emerging technologies can put an immense amount of strain on product designers and manufacturers. But artificial intelligence, when smartly paired with human ingenuity and creativity, can help us overcome these barriers. In a collaborative relationship with AI, humans will find their design and engineering expertise amplified, increasing our capacity for innovation and productivity.